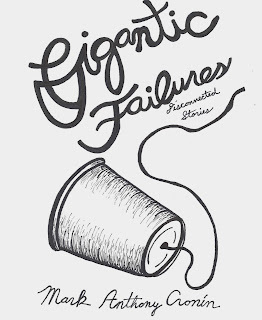 “The labyrinth is the only feasible model of the Universe,” a character in Mark Anthony Cronin’s short story collection, Gigantic Failures, explains to a friend who’s more interested in rolling another joint. While this might, at first glance, seem like insouciant stoner philosophizing, the statement speaks to a number of deeper truths that echo throughout the text – the difficulty of escaping one’s circumstances, the enduring pain of paths not taken, the inevitability of defeat, the disturbing possibility of a world that naturally favors disappointment over joy. If that seems like a lot of heavy stuff to tackle in one slim volume, it is, and Cronin is more than up to the task in this darkly fatalistic, subtly caustic and surprisingly uplifting debut from a new voice as deadly (and dead-on) as it is promising. The book is subtitled Disconnected Stories, but not because of any thematic incongruities between the pieces. Rather, the nine stories’ characters are bound by an ubiquitous sense of disconnect, the unavoidable creep of isolation in antisocial lives that often feel as if they’ve been boiled down to choose-your-own-alienation adventures. In order to thwart his overbearing parents and their flawed perceptions of success, a boy must retreat into an ocean of solitude. An already lonely man becomes increasingly unstable while obsessing over a girl he only knows through a webcam. An actor finds it nearly impossible to reconcile his inner life with the scarred personas he’s paid to play. These lost and losing souls are, for the most part, products of a technologically saturated, consumer friendly modernity where physical interactions have been degraded to “Facsimiles” of belonging, where the goal is only to want “to look absolutely human. Normal, totally supposed to be there doing what I was doing,” agonizing moments of rehearsed gesticulating before returning to the comfort of detached voyeurism that really isn’t that comfortable, either. 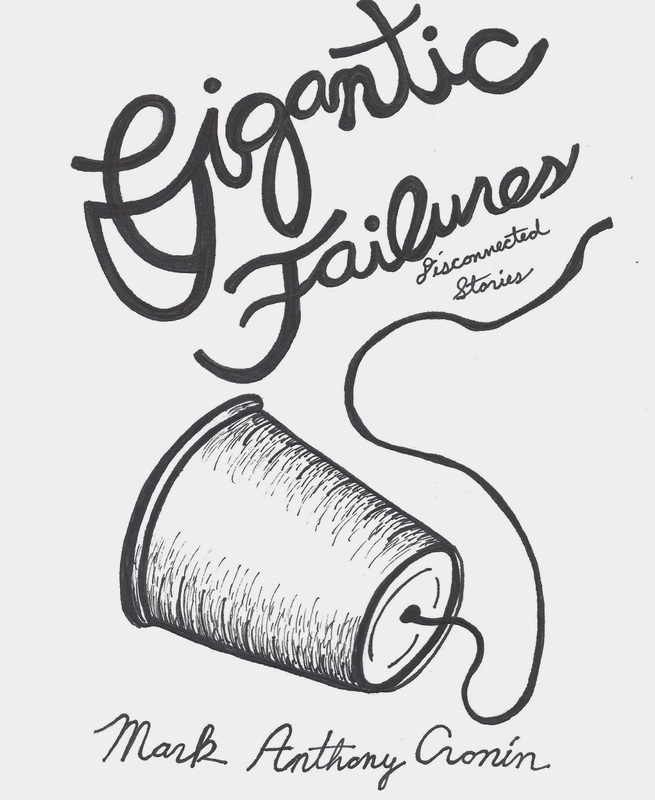 Gigantic Failures’ greatest strength is how it fuses the poetic and the crunch of the street, seamlessly transitioning between a wide range of voices and perspectives – a quintessential trailer park slacker, a middle-aged husband saddled with the burden of his vegetative wife and a literary-minded son he can’t understand, a 1930s actor-turned-businessman who happens to be a childhood friend of Howard Hughes – each written with a confidence that leaves little doubt of its credibility. It is a testament to Cronin’s ability that he can juggle a variety of forms, from dialogue-free neo-fables to first-person narratives to page-long sketches of mental incineration, and not have any of them glare too conspicuously in the reader’s memory. Instead, they serve to amplify the whole, smoldering variations lighting the same path toward the oldest void. Reviewer bio: Chris Vola's recent work appears in Monkeybicycle, The Fat City Review, McSweeney's Internet Tendency, and The Lit Pub. You can find him being mildly weird and offensive at @ChrisVola.